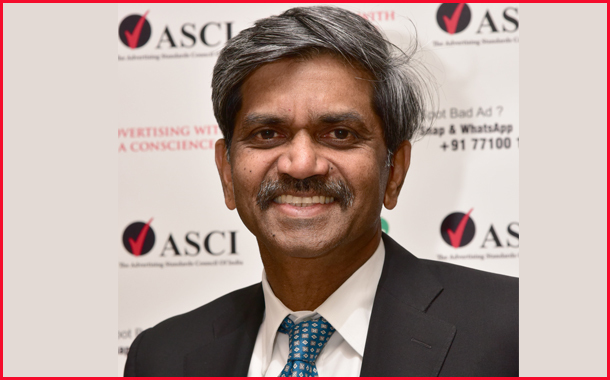 Mumbai: The Advertising Standards Council of India (ASCI) held today, Mr. D. Shivakumar, Group Executive President, Corporate Strategy at Aditya Birla Group was unanimously elected as the Chairman of the Board of ASCI. As the member of the Board of Governors for three years, supporting self-regulation, Mr. Shivakumar is an accomplished business leader having spent over 19 years in sales, marketing and general management positions across consumer products and the luxury industry. Mr. Rohit Gupta, President – Network Sales & International Business, Sony Pictures Networks India Pvt Ltd, was elected as the Vice-Chairman and Mr. Shashidhar Sinha, CEO, Media Brands Pvt Ltd, was re-appointed as the Honorary Treasurer. Members of the Board of Governors include; Mr. Harish Bhat (Director, Tata Global Beverages Ltd.), Mr Subhash Kamath (Managing Partner, BBH Communications India Pvt Ltd), Mr. Sandeep Kohli (Executive Director & Vice President for Personal Care Hindustan Unilever Ltd), Prof S.K. Palekar (Adjunct Professor & Advisor – Executive Education Institute of Management Technology), Mr. N.S. Rajan (Managing Director, Ketchum Sampark Pvt Ltd), Mr. K.V. Sridhar (Founder & Chief Creative Ofﬁcer (Director), Hyper Collective Creative Technologies Pvt Ltd), Ms. Abanti Sankaranarayanan (Former Vice Chairperson, CIABC), Mr. Girish Agarwal (Director, Dainik Bhaskar Group), Mr. Madhusudan Gopalan (CEO, Procter & Gamble Hygiene and Health Care Ltd.), Mr. Prasun Basu (President – South Asia Nielsen (India) Pvt. Ltd.), Mr. Sivakumar Sundaram (President- Revenue Bennett, Coleman & Co. Ltd), Mr. Vikas Agnihotri (Director Sales, Google India Pvt. Ltd.), Mr. Umesh Shrikhande (CEO, Taproot India Comm. P. Ltd.). The incoming Chairman, Mr. D. Shivakumar, said, “I want to thank Abanti for her stewardship. We live in changing times with respect to information, media and trust of society. ASCI has been built on the foundation of self-regulation and the wisdom of the previous chairmen and the board. It’s my privilege to do the role now”. The Consumer Complaints Council (CCC) established by ASCI is an independent body (majority of its members drawn from civil society members like consumer activists, lawyers, doctors, educationists), the CCC met 47 times during the year and deliberated on complaints against 2641 advertisements. Complaints against 1177 advertisements were upheld, while for 483 they were not upheld. The significant increase in the number of complaints as compared to 2016-17 numbers (2300) is largely due to ASCI’s Suo Moto Monitoring project viz. National Advertisement Monitoring Services (NAMS). The Independent Review Process (IRP) received a very favourable response and 30 IRPs were conducted during this year.